In the Autumn I was invited by House of Coco to talk about writing, motherhood, dance and the Bodily Writing project. Here are the results. 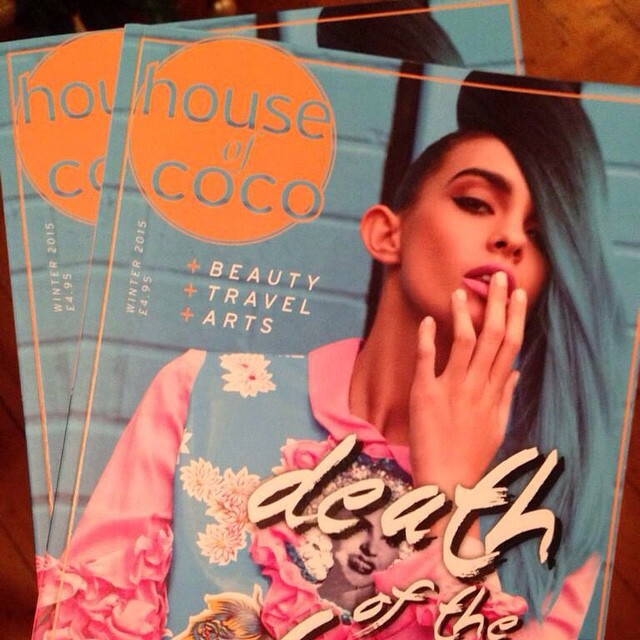 This glossy paged, colour publication hit London shelves this week. Thank you to Penny and the Coco team for making this work. The feature looks stunning and, I’m sure you’ll agree, it’s a good read too…. If you aren’t London based, and aren’t planning a trip to the capital any time soon you can order online, at a pretty reasonable price. Something to fill a stretchy stocking this Christmas? Or simply leaf through over coffee before getting down to wrapping/writing cards/just writing….